Sam Reese and I were classmates back in college. Our friendship was built around our shared love of extreme metal music, and now, ten years later, we both find ourselves navigating the turbulent waters of the literary world. 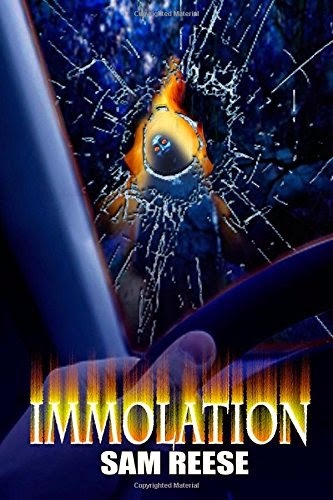 Sam recently released an intense supernatural thriller called Immolation, and he's burning up the keyboard with his other projects. He took a few minutes to tell us about himself, his books, and the methods behind his madness. Sam Reese - a name shrouded in legend and mystery. Who is he really? That’s a difficult question to answer. A while ago I found out that people who don’t know me are scared of me, and I never could understand that. When I was little, I was really small and a lot of people picked on me, so mentally I’m still this little guy who just wants people to either be his friend or leave him alone. I guess the best I can tell you is that Sam Reese is a man who has a dog who loves him, a wife who thinks he’s pretty cool, a family who supports him even if they don’t really understand him, and friends who think the world of him. Really and truly, he’s a pretty cool guy, and not scary at all. Oh, and he sometimes uses his transporter technology to send himself into the midst of adventures that would make Indiana Jones pee his pants. What planted the seed of writing in your mind? I dunno. I always loved stories, and I always told stories in one sense or another, whether it was writing or playing with toys or playing outside. I didn’t really do sports per se, so all my outside was spent pretending I was in another world. Also, Stephen King helped. A lot. And if it weren’t for Stan Lee, I don’t know that I’d have ever started reading. Immolation is a REALLY SERIOUS book. It truly is. But it’s also fun, and humorous, and very human I think. It tells the story of a girl named Lydia who faces severe abuse at the hands of her father. When she’s 14, she learns that she is pyrokinetic and has the ability to exact revenge. But she has to determine if revenge is what she wants, and she also has to realize that there is a cost for the things we do. It’s a morality tale in many ways, but I hope it is not a tale that preaches as much as it is a tale that empowers. What are you working on now, and what do you have planned for the near future? Now that I’ve gotten Lydia’s story out there, I’m focusing on more lighthearted fare. Well, at least comparatively. 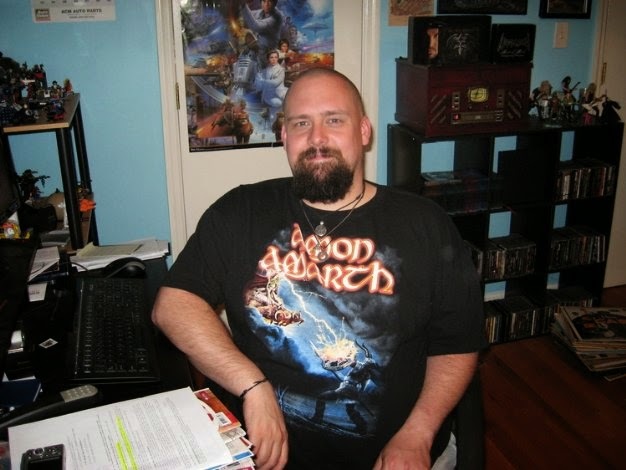 I’m working on a fairly fun and ridiculous story that involves a man, his girlfriend, an imp, the imp’s wife who is a Muse who also happens to be mute, and their adventures with the Norse pantheon of Gods and Goddesses and some archangels as they attempt to keep Loki and Lucifer from bringing about the end of the world. Oh, and Cerberus is there too, trying to get two of his heads back since Loki stole them. I’m also working on a romance novel. Yep. It’s about a famous movie and TV star who meets a member of the paparazzi and he changes her life. And finally, I’m writing a story for a Halloween anthology from my publisher that’s about the disembodied laughter of children emanating from a graveyard. And a sadistic Puritan minister. Fun times. Who are some authors and/or what are some books that really dug into your brain? What is your favorite flavor of chicken wings? I’m a pretty simple guy when it comes to that. Give me honey barbecue, or give me death. You can find Sam online at www.supernaturalsam.com, on Facebook, and Amazon.